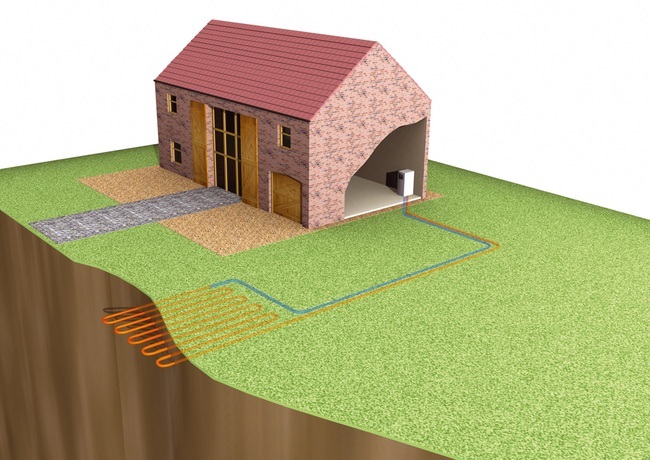 A Ground Source Heatpump uses the natural energy stored in the ground to heat your home, the Greenstore range of heatpumps are suitable for a variety of properties and are designed to be the sole source of heating and hot water in the home. 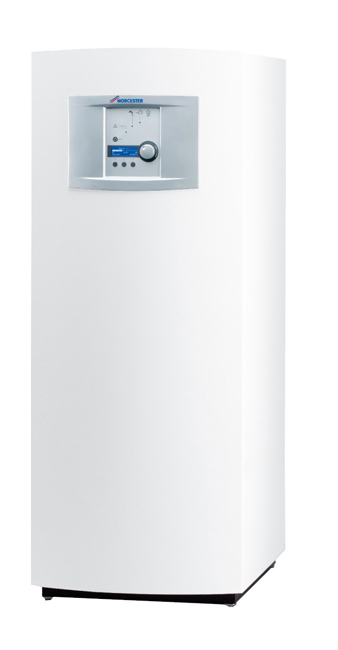 Combi Heatpumps have an integral cylinder built in so saving installation space. A System heatpump requires a separate cylinder and can also be incorporated with a solar system to suplement the hot water. Heat pumps are an extremely efficient way of heating the property, for every 1Kw of electricity required to power the heatpump, the system could generate up to 4Kw or more in energy for the home. Greenstore heatpumps are certified by the Microregeneration Certification Scheme, and qualify for the proposed Renewable Heat Incentive to be introduced in April 2011. 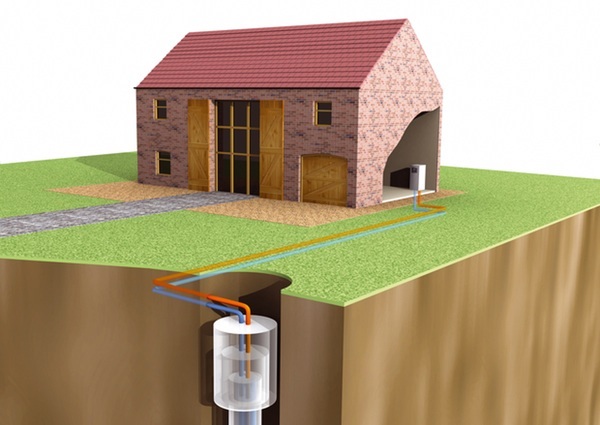 There are various ways the ground collector can be installed, If space is limited then a borehole or a series of boreholes can be drilled by a specialist borehole company and the collector pipe inserted vertically. Alternatively a continuous horizontal ground loop can installed or in the form of compact collectors. 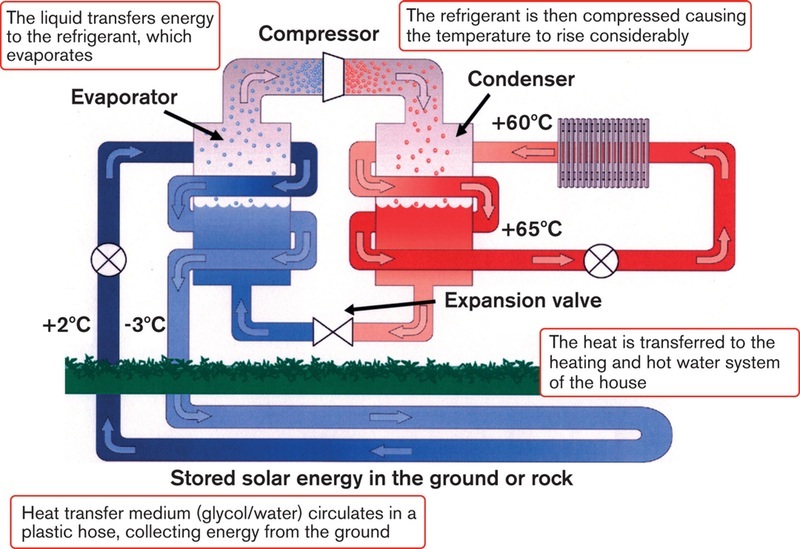 The heatpump uses a refrigeration process to produce the heat required. Fluid is pumped around the ground loop collector to achieve a temperature of around 3-5 degrees C. Inside the heatpump it then meets the refrigerant (-10 degrees) and causes it to boil and produce a vapour which is then compressed causing it to rapidly increase in temperature. A condenser transfers this energy to the heating system heat to provide the heat for the Hot Water system and radiator or underfloor heating circuits. Here the ground collector is a continous loop which meanders around the garden absorbing the energy, they can be made up of either a single loop or a series of loops, depending on the size of the heatpump.